This guide provides an overview of the UK tech sector’s key capabilities and information on how your organisation can benefit. UK-developed technology is changing lives all over the world. From Agri-Tech to zeta architecture, wherever you look, the chances are you’ll find innovative and quality UK products, services and expertise. This successful technology industry is being built around a dynamic ecosystem of companies – both startups and established companies – supported by a growing domestic and international market, government backing and one the world’s greatest education and academic systems. 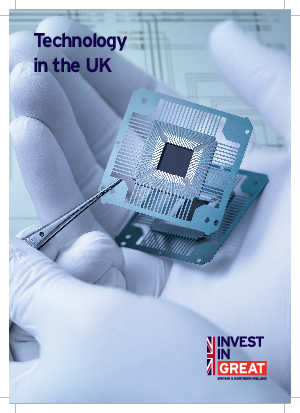 Add to this a skilled workforce, supportive financial and legislative framework, business-friendly environment and a comprehensive range of grants and incentives for international companies, and there’s never been a better time to invest in the UK tech sector. The Department for International Trade helps overseas companies locate and grow in the UK.